“We have an extraordinary range of extremely strong women in our caucus and cabinet who continue to work on good things for Canadians,” he said. 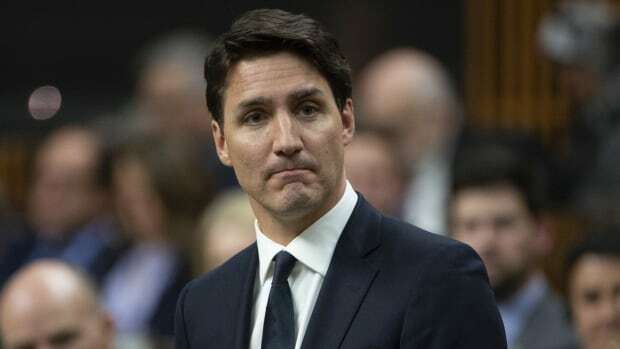 The prime minister announced that Wilson-Raybould and Philpott were out of caucus during a national Liberal caucus meeting Tuesday night, which was open to the media and televised. He said trust with the two MPs had been broken and called it “unconscionable” that Wilson-Raybould would tape a conversation with Michael Wernick, the clerk of the Privy Council. “I think it is unconscionable to tread over the independence of the prosecutor. It is unconscionable not to uphold the rule of law,” she said in a scrum with reporters alongside Philpott. A 17-minute audio clip of a Dec. 19 conversation between Wilson-Raybould and Wernick was released Friday as part of a submission to the Commons justice committee. In that call, Wernick told Wilson-Raybould that Trudeau wanted a remediation agreement for SNC-Lavalin “one way or another,” and said the PM was “firm” on the issue. Philpott called it “very unfortunate” that the situation has come to this, but said she always acted out of principle and the best interests of Canadians. “They stood up, they told their truth, and I guess the message from the Liberal Party of Canada is, if you go offside on our political aspirations, we’re going to destroy you,” she said. “We have a strong prime minister that is a feminist, we have a feminist agenda. Our record speaks for itself,” said Tourism Minister Mélanie Joly.